TBILISI, DFWatch–In a new poll, 52 percent of Tbilisians say they would vote for the Georgian Dream candidate for mayor if the local elections were held tomorrow. Four percent say they won’t vote for anyone, and 18 percent haven’t decided yet. Another source of encouragement for Georgian Dream is that 48 percent of respondents think Georgia is moving in the right direction. 33 percent think it is moving in the wrong direction, while 19 percent didn’t have an answer. These numbers will make pleasant reading for the Georgian Dream government, which has been attacked by the former ruling party, the National Movement, ahead of the local elections in June. 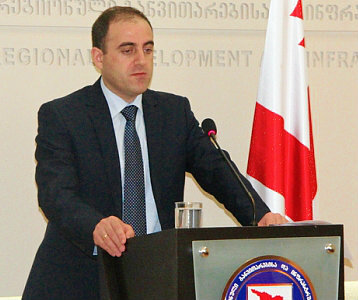 Spokespersons for the National Movement have claimed that Georgian Dream is mismanaging the economy. The poll, published Tuesday, was carried out by International Republican Institute’s (IRI) and is called Georgia National Study. On the other hand, only 16 percent say they think the economic situation in Georgia has improved during the last two months, while almost twice as many, 29 percent, think it has worsened. 52 percent answered that the economy has not changed. The IRI poll shows that 70 percent think unemployment is the biggest problem in Georgia at the moment, followed by the lost territories with 41 percent and the economic situation with 38 percent. 74 percent of those questioned answered that Russia is Georgia’s biggest political and economic threat, while 39 said the US is Georgia’s most important partner. 76 percent of respondents support Georgia continuing the dialogue with Russia. 58 percent said they completely support Georgia joining NATO, while 60 percent believe Georgia will become NATO member. 61 percent think Georgia should receive a Membership Action Plan (MAP) at the NATO summit in September. 70 percent wants Georgia to join EU, while 52 percent believes Georgia will sign the Association Agreement with the EU this summer. 94 percent of Georgians say they trust the church, while 93 percent trust the army, 84 percent the media, 82 percent the police, 69 percent the government and 68 percent the Georgian parliament. 67 percent of those questioned say they trust the prime minister, 64 percent the president, 64 percent the education system, 52 percent the courts, followed by the Central Election Commission with 52 percent and the Prosecutor’s Office with 50 percent. Lower down on the list are the political parties with 37 percent who trust them and the governors of the regions with 32 percent. IRI also asked respondents what they think about Bidzina Ivanishvili leaving his post as prime minister and going to work in the civil sector. 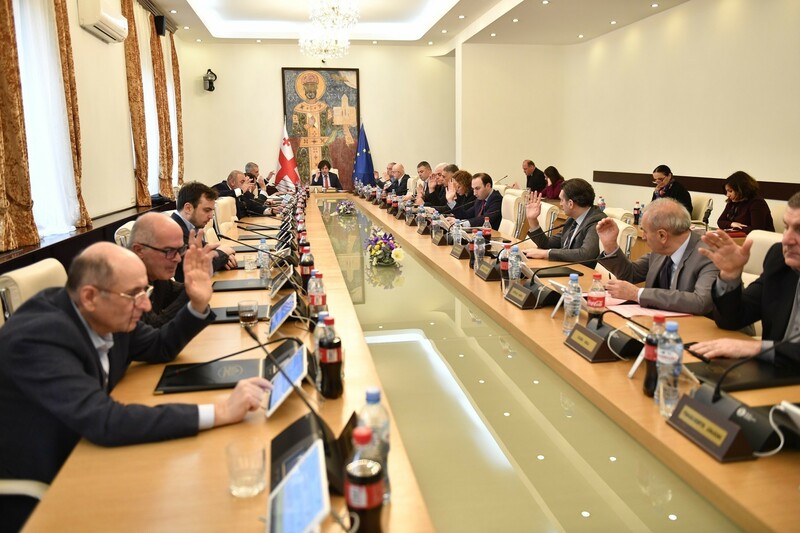 36 percent they completely disapprove of this decision, 19 percent approve of it, 17 percent partly approve while 16 percent partly disapproves of Ivanishvili’s decision. The poll was conducted between February 19 and March 13, 2014, and 3 992 people were questioned.